The FBI is increasing its crackdown on people who point lasers at airplanes. 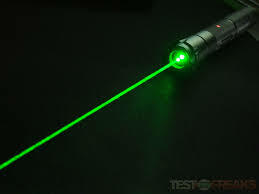 CBS News reports that the bureau is offering $10,000 rewards following an increase in laser cases. The FBI launched a pilot program at 12 offices in February, which saw a 19% decrease in the number of reported laser strikes. The number of cases has increased 1,100% since the FBI began tracking lasers. “The FBI hopes to build off the success of the initial launch in February and not only reduce the threat but continue to generate public awareness about the dire consequences of lasing and the understanding that it is a violation of federal law,” said Michael Kaste, special agent in charge of the FBI’s Kansas City Division. Posted: 6/4/14 at 9:15 AM under News Story.